Dr. Lori Weeks is a Gerontologist who completed her Ph.D. and a Graduate Certificate in Gerontology at Virginia Tech in 1998. Lori worked in long-term care on Prince Edward Island for three years before becoming a faculty member at the University of Prince Edward Island from 2001-2014. In January, 2015, Lori joined Dalhousie University as an Associate Professor. 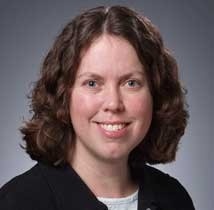 Her primary research interests focus on care and support services for older adults and their caregivers and factors affecting the health of seniors. She has a current research focus on supporting older adults and their caregivers through health service transitions and supports for older women experiencing intimate partner violence. Weeks, L E., Villeneuve, M.A., Hutchinson, S., Roger, K., Versnel, J., & Packer, T. (in-press). What we learned about mentoring research assistants employed in a complex mixed methods health study. Canadian Journal of Higher Education. Weeks, L.E., Bryanton, O., McInnis-Perry, G., Chaulk, P. (in-press). Developing a peer educator program to raise awareness about elder abuse. Journal of Peer Learning. Weeks, L.E., Nesto, S., & Begley, L. (in-press). The housing situation is harder for Natives: An ecological examination of housing issues for older Aboriginal adults. Native Studies Review.